A love of sneakers and having a former university president in the family brought DeVaughn Hauck ’20 to the University of Maine. He is the March Recipient of the Alumni Association’s Dirigo Award. I live in Roxbury, a neighborhood in the middle of the city of Boston. Why did you choose that major and field of study? Many family members of mine attended UMaine and my great-great-grandfather, Arthur Hauck ’58H, was once president of the university. Honestly the Union and Library are where I spend most of my time on campus when I am not in class. The Avenue [a popular student apartment complex in Orono]. My freshman year there was this hamster ball soccer tournament that I signed up for with my friends and it was super fun. I love playing baseball or hanging out with friends inside if it is too cold. I’ve liked a lot of my professors but I’m currently taking a class with Stephanie Welcomer and Dmitri Markovitch and they are very wise, educated, and enthusiastic about their fields. This year! I will be graduating in May 2019. I want to save money and travel the world. I will probably work in an office doing something in my field but I hope to own a business one day. 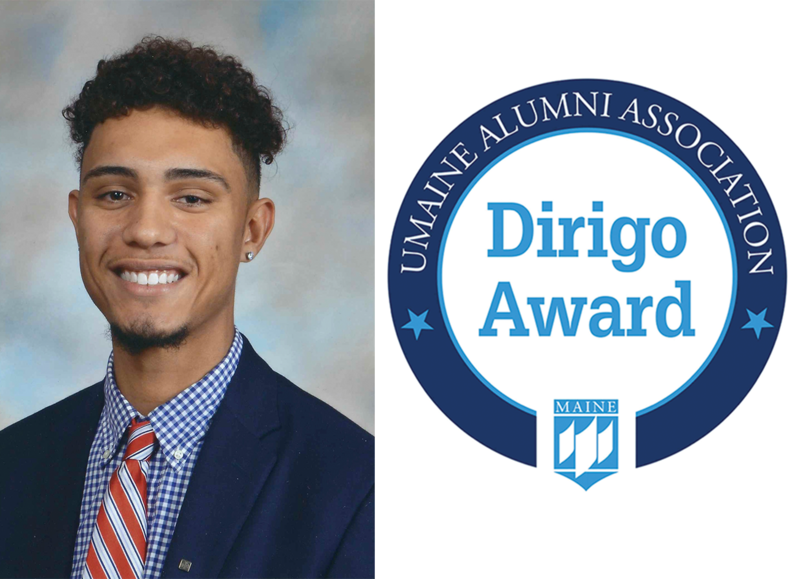 The UMaine Alumni Association, with support from University Credit Union, each month presents its Dirigo Award to an undergraduate student who exemplifies the academic and civic ideals of the University of Maine. Selections are made in consultation with UMaine’s deans and the Division of Student Life.